VROOM VROOM! BEEP BEEP! Time to teach our preschoolers all about transportation. 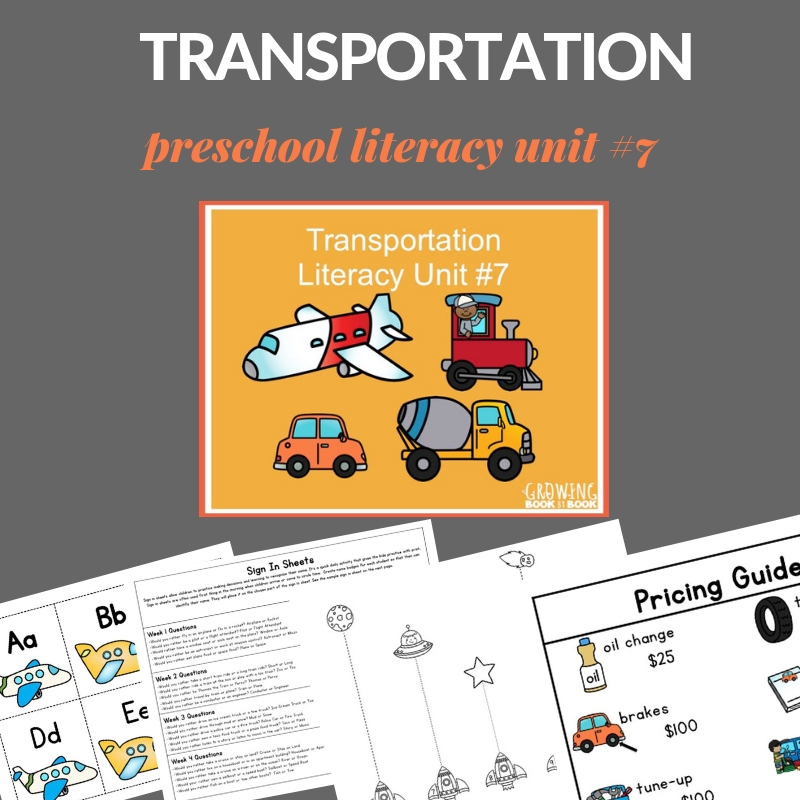 These preschool transportation lesson plans are great for a preschool themed unit inviting the kids to explore planes and rockets, trains, cars and trucks, and boats throughout the month. 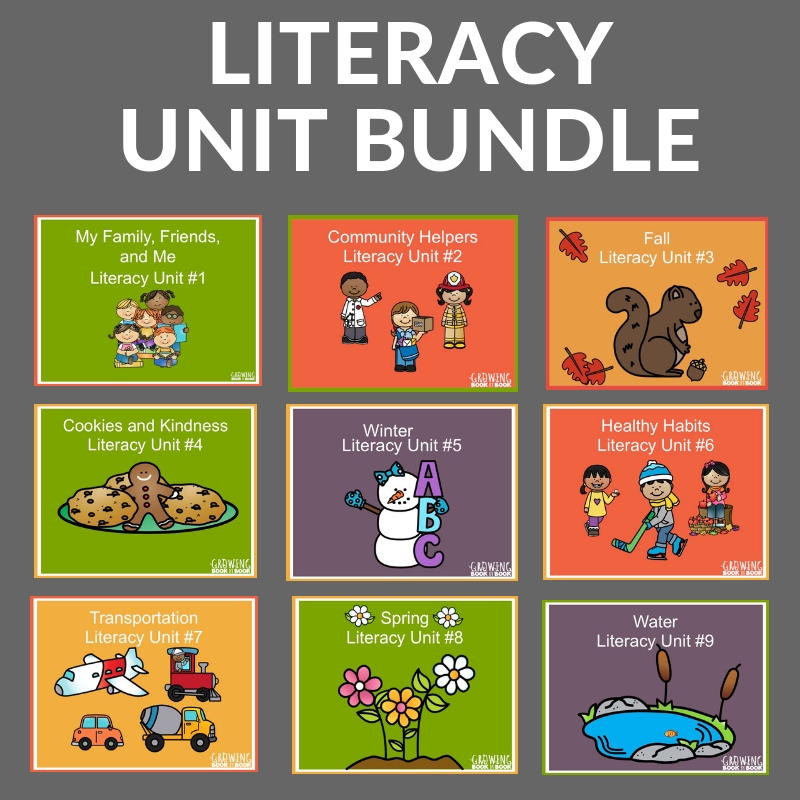 And, it’s a literacy-rich unit so kids will be learning and growing with their reading and writing skills. Would you love to have a unit where lots of great books on the topic are ready to be shared? Would you like to infuse themed literacy learning into your centers? Would you like to kick your circle time a literacy notch? Then, this unit is for you. Best of all…everything is ready for you! What is in the Unit? This unit covers four weeks of instruction and four themes. Here is a peek at the activities included in this unit. 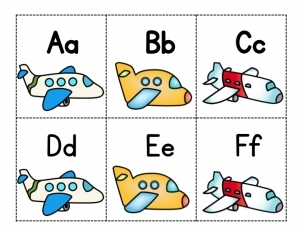 Includes airport and mechanic shop printables perfect for your dramatic play area including suggested props to add. Each dramatic play center is meant to be set up for two weeks. A printable train book kids can work on during week two. 40+ book recommendations covering each theme in the unit also included in one easy list to take to the library. Plus….writing activities, fine motor ideas, read aloud activities, daily sign-in questions, differentiation ideas, and more! 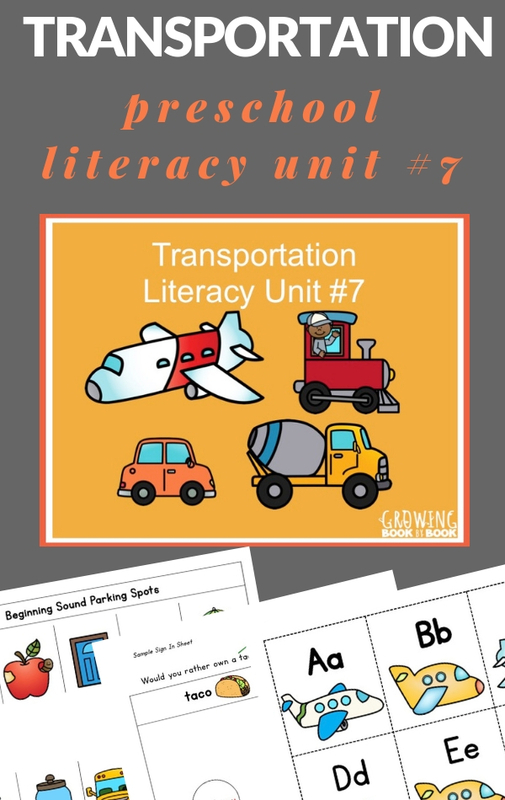 There are over 140 pages of transportation lesson plan resources to download and print. The Transportation Unit is available for $10. Themed learning offers our kids the opportunity to go deep into learning and exploring. It also helps kids connect ideas across multiple subjects. But, at the heart of every great unit of study is reading and writing connections. Reading about a topic allows for great learning and talking and writing about a topic solidifies our thoughts and understandings. What Themes Will Be Available in the Future? Each theme can be purchased individually or as a special bundle for $75. Enjoy all that free time you’ll save by getting the unit and having all your lesson plans done for your preschoolers. Perhaps you can enjoy a healthy snack and a run at the gym.